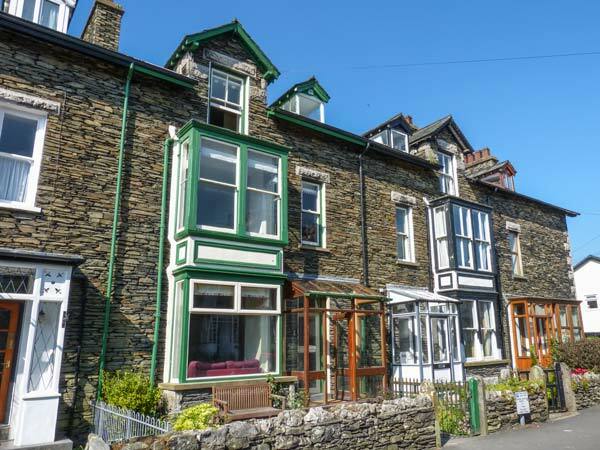 Parkgate is a lovely mid-terrace, Lakeland stone cottage situated in the centre of Windermere, two miles from Lake Windermere. Set over four floors, this cottage sleeps ten people in five bedrooms, consisting of a second floor king-size double with en-suite Jacuzzi bath, a second floor king-size double with en-suite freestanding bath, two first floor twins and a first floor adult bunk. The cottage also has a kitchen with dining area, a sitting room with woodburner and a lower ground floor second sitting room. Outside there's roadside parking for two cars and an enclosed patio with furniture. 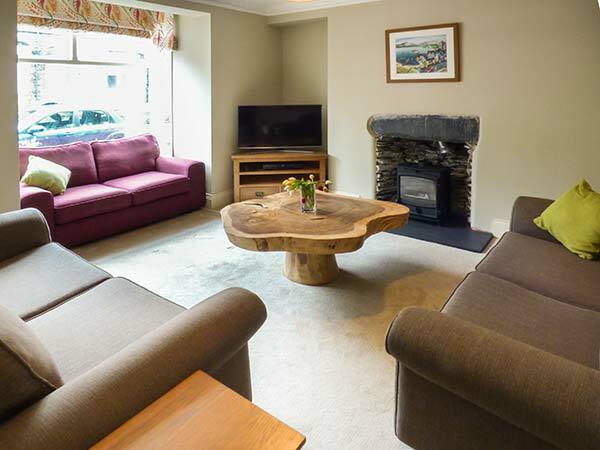 Parkgate is a delightful holiday home for families or a group of friends. Gas central heating with woodburning stove. Electric oven and hob, microwave, fridge, freezer, washing machine, tumble dryer, dishwasher, 2 x TVs with Freeview, DVD, WiFi. Power inc. in rent, please bring your own fuel for the woodburner. Bed linen and towels inc. in rent. Travel cot and highchair on request. Roadside parking for 1 car with visitors permit (supplied by owner), plus additional parking available in nearby car park (fees apply) and free parking on nearby streets. Lockable bike storage. Enclosed patio with furniture. Two well-behaved dogs welcome. Sorry, no smoking. Shop 1 min walk, pub 3 mins walk.